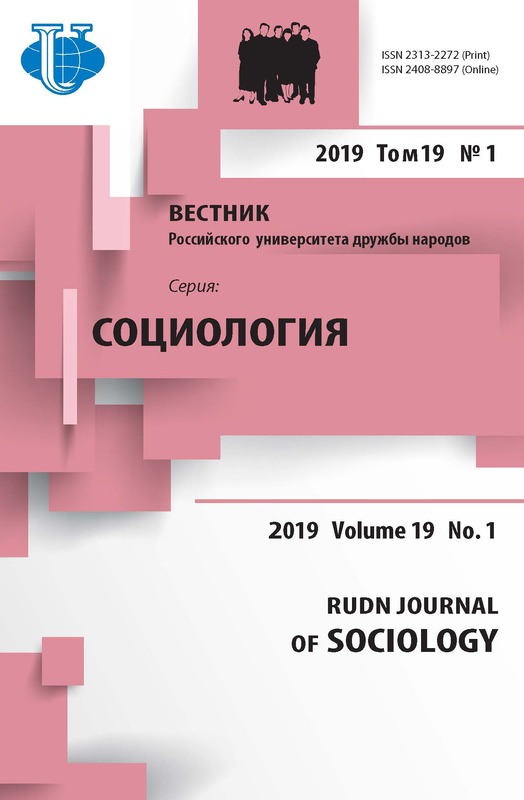 Announcements 10.12.2018: RUDN JOURNAL of SOCIOLOGY в WoS. Username * The username must contain only lowercase letters, numbers, and hyphens/underscores. Password * The password must be at least 6 characters. Separate multiple organizations with semicolon. Kazan state medical academy; Kazan state medical university. ORCID iDs can only be assigned by the ORCID Registry. You must conform to their standards for expressing ORCID iDs (eg. 0000-0002-1825-0097). Science Personal Identification Number on the Russian Science Citation Index at eLibrary.ru. Scopus Author ID can be observed on http://SCOPUS.com. Researcher ID can be observed on http://www.researcherid.com. Reader : Notified by email on publication of an issue of the journal.